We pride ourselves on only selling products that we believe in and use. Our team research and test all our products so that you can be assured they will assist in your recovery and last the distance. Supercore Compression Garments unique Coretech technology is getting more popular in the elite sporting world today. These supportive compression garments can assist core stability and reduce injury risk during exercise. Ideal for accelerating recovery during and post exercise by increasing blood circulation and reducing blood lactate. Available in shorts and long leggings which can be worn in matches and training. Highly recommended for anyone susceptible or recovering from hamstring, lumbar spine or groin related injuries. For more information please contact us. 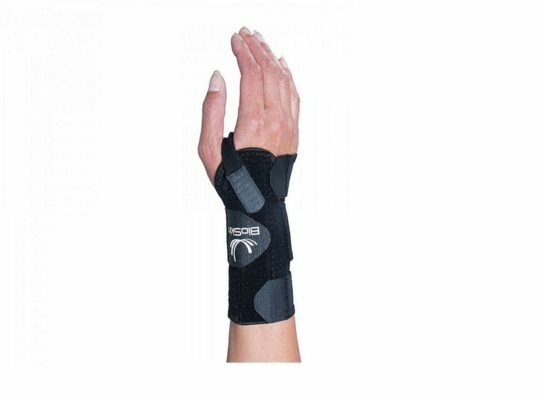 There are numerous wrist guards out there addressing all types of wrist problems eg carpal tunnel syndrome, sprains, arthritis, tendonitis, De Quervains tenosynovitis etc. After thorough research we only stock a few of our favourites. Whatever your wrist injury may be, we will make sure you get the right guard for your injury needs. Walking boots are used in a number of ankle and foot injuries where immobilisation and rest are necessary eg. stable fractures of the foot/ankle, severe ankle sprains and post foot/ankle surgery. 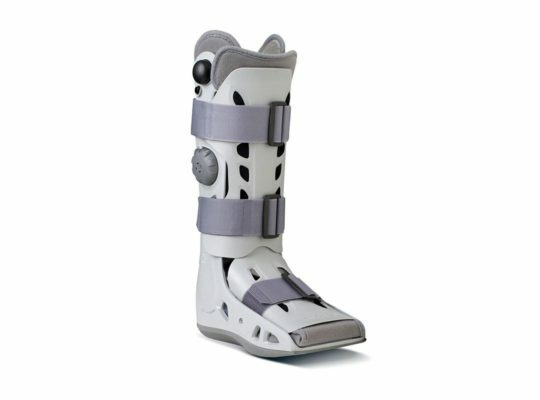 We stock a variety of walking boots (also known as CAM walkers or Moon Boots) to suit your injury management needs. A great product that is used to relieve heel pain often associated with injuries such as plantar fasciitis, achilles pain, severs disease and heel spurs. An effective shock absorber for heavy impact activity such as jumping and landing. They can be worn in casual shoes aswell as cleated boots, work boots and athletic spike shoes. 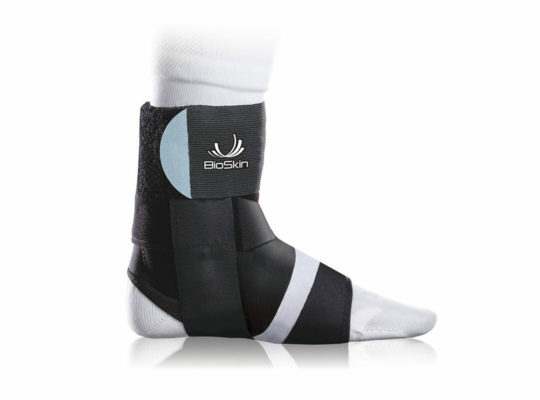 The TriLok ankle brace is one of the best ankle guards on the market. Whether you're looking for a brace to protect and support an injured ankle or if you're hoping to prevent an ankle injury, the TriLock ankle brace provides maximum ankle stability, comfort and safety. A great choice to treat ankle ligament sprains and prevent future ankle instability. These forearm braces will help relieve symptoms of epicondylitis. The brace can be positioned to treat medial epicondylitis (Golfers Elbow) or lateral epicondylitis (Tennis Elbow). Superfeet are a great supportive insert for your shoes and come in a number of different styles and functions e.g. cycling shoes, ski boots, football boots etc. So if you don't want to wreck those expensive orthotics or need extra support, try Superfeet. The Serola Sacroiliac Belt is designed to compress and support the sacroiliac joints (SIJ), thereby relieving stress and instability in the lumbopelvic area. 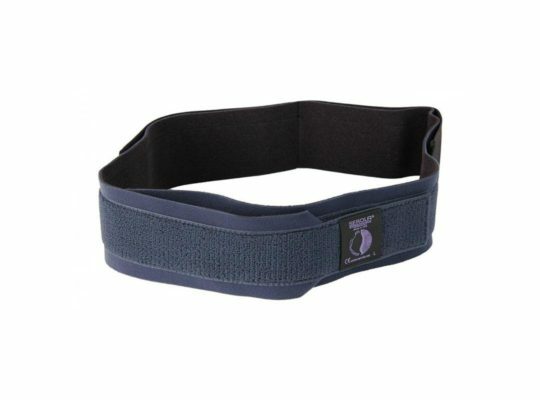 The stability that the SIJ belt provides will reduce the stresses on your back, hips and pelvis, and considerably reduce you risk of injury during work or play. The belt can be worn comfortably for extended periods without causing muscle weakness but actually working to improve core muscle function. Pregnant women may experience lower back pain, sciatica, pelvic instability and pelvic girdle pain. SRC Pregnancy Leggings use graded compression to support the muscles of the pelvis and core, increasing lower back and pelvic stability. These specially designed leggings will provide the stability you need to continue working or exercising without trouble. Poor posture can be a major cause of neck, shoulder, upper and lower back pain. Postural aids assist with correcting poor posture and slumping/slouching. Posture aids are designed to provides a constant reminder to sit, stand and walk with correct posture, in turn helping you break some of those longstanding bad posture habits and settle symptoms. Our posture aids allow normal movement and can be easily adjusted from firm to mild support as your postural awareness and endurance improves. Patella Stabiliser braces are designed to give support for a variety of knee injuries associated with the patella (kneecap) eg. Iliotibial Band Friction Syndrome, Osgood-schlatter disease, patella dislocation, incorrect patella tracking pain and patella tendinopathy, to name a few. Our staff can guide you on the best knee guard fo your injury. Lumbar support rolls are a great ergonomic tool to ensure you maintain good posture when sitting and driving. The flexible elastic strap allows you to apply the lumbar roll to your chair easily and securely, whilst the foam cushioning is comfortable and supportive on your spine. The lumbar roll can provide excellent relief for back and neck pain associated with poor sitting postures eg office chairs, car seats etc. Massage Balls or Trigger Balls can be utilised for self massage exercises to reduce muscle tension and stimulate the effects of sports massage. Easy to use at home and great for the traveller who needs a quick self massage on the go. Stretchbands are very effective in improving flexibility by facilitating ideal stretching techniques. Stretching can aid recovery from exercise and decrease risks associated with muscle tightness. therefore preventing a multitude of injuries. They are very hard wearing and come in 3 separate sizes. They are perfect for those who suffer from low back pain or have a past history of hamstring and calf strains. Your physio can show you a wide range of useful ways the stretchbands can improve your flexibility. Chronic plantar fasciitis? Achilles tendinopathy? Leg pain first thing in the morning? Then the Strassburg sock may be the thing for you. The Strassburg sock allows for a constant, comfortable stretch to be applied to your foot and calf while sleeping. This prevents that early morning hobble and pain and has been shown to rapidly improve symptoms associated with lower leg overuse injuries. The procare shoulder pulley is a simple and effective piece of equipment used in rehabilitation of shoulder injuries, post shoulder surgery and "frozen" shoulder. The easy to set up pulley system will work to improve the range of motion in the shoulder through a variety of rotation, abduction and flexion exercises, all of which can be done in the comfort of your own home at your convenience. 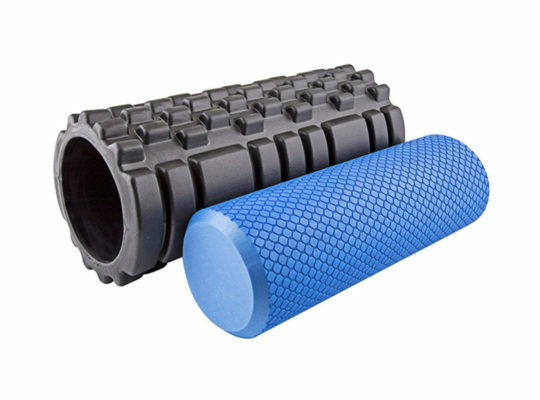 Foam rollers are fantastic for the active person for the management of muscle tightness, posture and overuse injuries. Our patients and athletes have found them invaluable for post exercise recovery aswell. Being portable and durable enough to throw in a backpack, they are easy to travel with and help manage recovery and injruries on the run. We stock different sizes and densities to cater to all preferences. BakBalls are an excellent self treatment tool that can help relieve pain and muscle tightness by exerting localised pressure to the problem areas ( just like a physio massage). 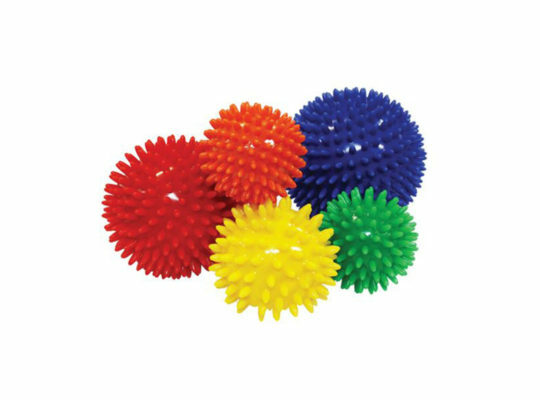 BakBalls are ideal for relieving neck, upper and lower back pain and stiffness. Endorsed by the Australian Physiotherapy Association, BakBalls continue to receive great reviews from office workers, sports people, manual workers, drivers, computer users and sedentary lifestylers. TENS (Transcutaneous electrical nerve stimulation) provides electrotherapy and muscle stimulation to assist patients with various problems. It can be used as an effective drug-free mode of pain relief by inhibitting pain tranmission. TENS can also facilitate muscle and nerve activation to provide rehabilitation to individuals with weakness or limited mobility. A wide array of individuals can benefit from a product such as this, such as those recovering from sports related injuries, undergoing post-surgery rehab, recovering from a stroke or spinal injury and those suffering from chronic pain. The TENS Metron ProTENS Machine has numerous features and specification modes, but don't worry one of our helpful physios will be able to set it up to suit your needs. This product is great when you have pain and need a heat pack fast. These patches release a gentle warmth that has a calming and pain relieving quality and are essential for pain relief on the go. No more using a bag of frozen peas. These reuseable cold packs come in 2 sizes and are ideal for providing soothing cold therapy to an injured area. The gel interior holds the cold for longer but will also allow you to conform the ice pack perfectly around any injured joint or limb. A must have in any household. These microwavable heat bags are fantastic. They retain heat for long periods of time and never smell! They come in a variety of sizes from the small neck packs to the larger back packs. Fully hand washable and 99% allergy free. Fisiocrem solugel is a massage cream containing natural herbal ingredients such as arnica, hypericum and calendula. These organic ingredients are traditionally used for the temporary relief of inflammation, muscular aches and pains. A great natural alternative to the other drug based topical creams on the market. The Denton pillows takes into consideration all body shapes and sizes. We stock a number of pillows with different contours, densities and shapes to ensure that you get a good night's sleep whilst maintaining correct neck and spine position. Therband resistance bands helps users rehabilitate injuries, increase strength, improve flexibility and enhance athletic performance. The resistance bands are easy-to-use, convenient, portable, and are an effective alternative to free weights and weight machines. They can be used in the clinic, at home, or on-the-go and come in over 5 colour-coded resistance levels to make sure your strength is always progressing. Exertube with handles is a great piece of equipment for upper and lower body strength exercises and is easy to use at home, at the gym or while travelling. Commonly used in the exercise rehabilitation of many shoulder and upper limb injuries eg rotator cuff injury etc, Exertube comes in 4 different grades of elastic resistance, allowing you to progress your strength exercises steadily over time. Electrical stimulation using a TENS (Transcutaneous Electrical Nerve Stimulation) machine with a vaginal electrode can be a useful adjunct to a pelvic floor exercise program in the treatment of bladder and pelvic floor dysfunction. Vaginal TENS is particularly useful post partem, where women often have very weak pelvic floor muscles or the inability to activate their pelvic floor muscles adequately. 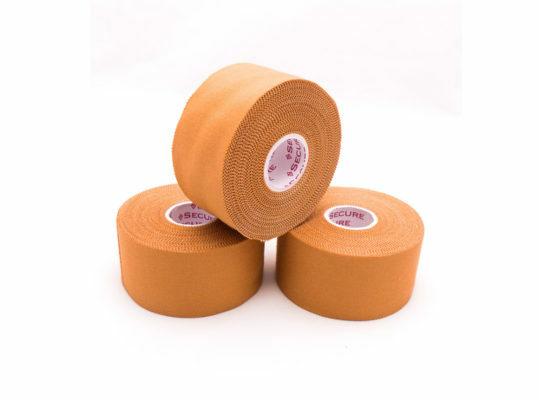 We supply and use a wide variety of strapping tapes in our practice aswell as providing sports taping to a number of sporting clubs and associations. We have a number of tape packages available so please feel free to contact our office for more information. RockTape can enhance performance, athlete recovery and prevent injuries. Rocktape can assist to decrease pain, reduce swelling and bruising associated with acute injury. When applied correctly RockTape can also provide functional support to muscles and joints while still allowing full range of movement. It is hypoallergenic (no zinc oxide or latex) and is water resistant. Fixomull tape is a hypoallergenic adhesive tape suitable for use on mobile and highly contoured parts of the body. It is made from a white, stretchable, non-woven polyester dressing coated with a skin-friendly adhesive. Fixomull is awesome for applying wound dressings or as a undercoat to rigid taping for those with sensitive skin. Knee ROM braces or hinged braces are required when specific angles of immobilisation are necessary for injury management. ROM braces are often used post knee surgery to assist recovery or following knee ligament injuries that have resulted in instability eg Anterior Cruciate Liagment tears (ACL), Posterior Cruciate Ligament tears (PCL), Medial Collateral Ligament tears (MCL) and Lateral Collateral Ligament tears (LCL). All our physios are able to provide and fit these high quality braces to suit your injury needs. There are a wide variety of knee supports on the market for numerous types of knee problems. So how do you know which one you need? We stock numerous types of knee guards from light supports to "heavy duty" protective braces. Whatever your knee injury is, we will make sure you get the correct guard to get you back on the road to normal function. 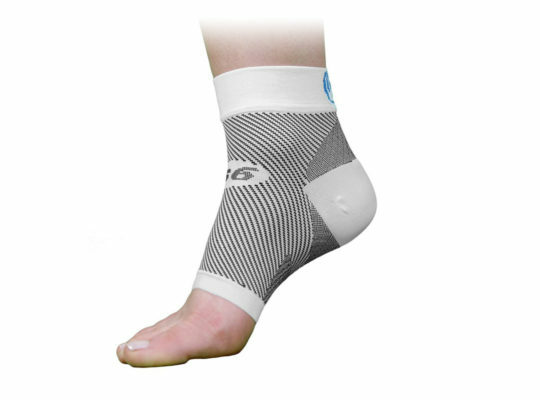 The FS6 Compression Foot Sleeve is able to reduce pain resulting from plantar fasciitis, heel spurs, swollen feet and chronic arch pain. FS6 keeps the Plantar Fascia ligaments gently stretched while increasing blood flow to damaged tissues in the foot and heel, resulting in less pain and inflammation. Footsleeves are the ideal work aid for nurses, teachers, retail workers, hairdressers, food service workers etc, where prolonged standing times are required.